Enter to win a seat along the Red Carpet at the 2019 Oscars in the bleacher seats, as part of the Oscars Fan Experience. It’s the place to be on Oscar Sunday: sitting along the most famous Red Carpet in the world. Get ready to pick out your outfit and head to the Oscars. THIS IS NOT A DRILL: The Academy is giving away tickets to be a fly on the wall. 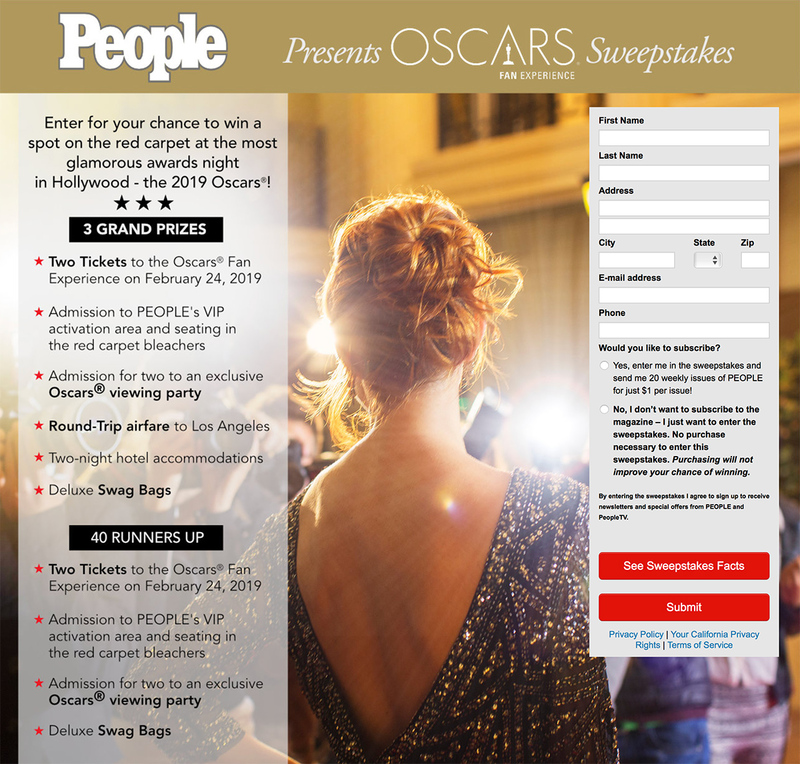 Both The Academy and People Magazine (the official sponsor) have launched their contests to find fans to fill some of the approximately 700 spots in the bleacher seats that flank the famous stretch of carpet. AMC Theatres also has a contest. UPDATE (12/17): The Academy’s Bleacher Seat Lottery is now CLOSED. See details below. The Gold Knight is excited to report that, as of Dec. 3, The Academy has finally launched its official 2019 Oscars Bleacher Seat Lottery contest. Head to the Academy bleacher seats website and submit your information: First and Last Name, Date of Birth, Address, ZIP Code and Email. The random drawing, much later than last year but on par with two years ago, officially began Dec. 3 at 5 a.m. PT and ends Dec. 12 at 5 p.m. PT. 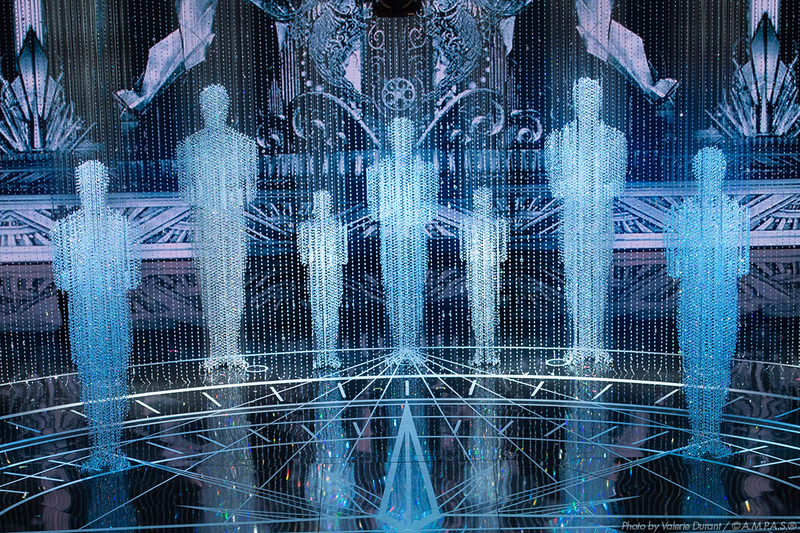 Winners of the 2019 Oscars Red Carpet Fan Experience will be notified by email beginning Jan. 21, 2019 (two weeks later than normal). Possible good news to share: The Academy is awarding “up to 100 pairs of Bleacher seats (total number of eligible entries selected will depend on whether a winner wants one or two seats) from among all eligible entries received.” In previous years the rules stated up to 100 individual seats would be given out so this might mean more seats are up for grabs (or we could be reading into it). One entry per person; duplicate entries will be discarded. Entry form must be complete and received by 5:00:00 PM PT on December 12, 2018, (as indicated above), to be eligible. Must be 18 or older to enter; a child 8-17 years old may attend as a winner's guest but only if the winner is his/her legal guardian. All registrants will be initially notified of the results of the random drawing via e-mail on or about January 21, 2018; be sure you enter a valid email address and check your SPAM filter. All those selected to sit on the bleacher seats will be required to provide a valid social security number (or international equivalent) for the purposes of a security background check, and will need to sign a liability/publicity release form prior to entering the bleachers. 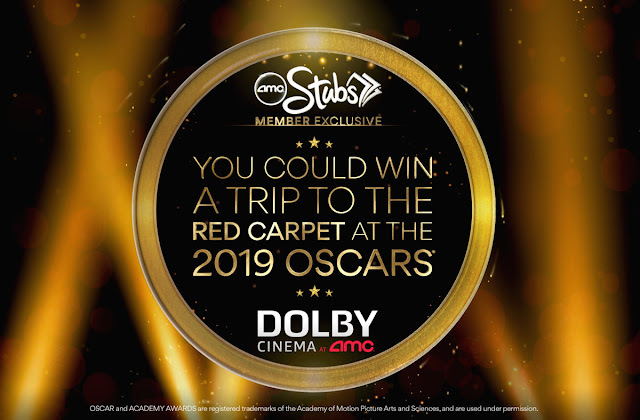 By entering, you are agreeing to receive further email communication from the Academy of Motion Picture Arts and Sciences and/or the Academy Museum of Motion Pictures. For those entering this year’s contests, good luck! And if you’re among the lucky who are select, please let us know so we can follow your journey to the Oscars. Similar to recent years, People Magazine has its own bleacher contest and we've got the details. Since People is the official sponsor of the "Oscars Fan Experience," the Academy is again giving the magazine up to 86 spots to give away to its readers (down from last year's 106 spots). Here's what you need to know: Enter here with your details. U.S. residents can enter once per day until the contest closes on Dec. 8. Three will win the grand prize, which includes airfare and hotel accommodations for them and a guest in addition to the bleacher seats. Forty runners-up will receive bleacher seats and "deluxe swag bags." Retail value of the prizes is estimated at $3,700 (for the grand prize) and $1,000 (for runners-up). Winners will be notified via email and/or phone around Dec. 17. Good luck to all who enter and let us know if you win! AMC Theatres is giving its Stubs Rewards members entries to win bleacher seats at the 2019 Oscars. This contest is a little more involved. Five lucky winners (and one guest) will win round-trip airfare, hotel accommodations and Red Carpet seats. Here's what you need to know: Open to U.S. residents in most states who are 21 or older and are an active member of the AMC Stubs rewards program. Interestingly, the official rules note that its paid A-List members are not eligible to participate. There are three ways to enter: by making a qualifying purchase online (1) or at a participating AMC theatre (2), or for free by mail (3). The contest closes on Dec. 28. To enter the Sweepstakes for free by mail without a Qualifying Purchase, an Eligible Person (excluding A-List Members) must hand print their first and last name, street address (no post office boxes), city, state, zip code, daytime telephone number, month and year of birth, AMC Stubs Premiere or Insider membership number and (if applicable) email address on a postcard only and mail the completed postcard entry to: “2019 DOLBY CINEMA AT AMC RED CARPET” SWEEPSTAKES, 22287 Mulholland Hwy, #396, Calabasas, CA 91302 (“Mail-in Entry”). ALL MAIL-IN ENTRIES MUST BE POSTMARKED BY DECEMBER 29, 2018 AND RECEIVED BY 5 pm PT JANUARY 4, 2019. All entries must correspond to a valid, active AMC Stubs Member account. Entry into this Sweepstakes is limited to AMC Stubs Members only, regardless of entry method used. Limit one (1) Mail-in Entry request per outer mailing envelope; limit one (1) Mail-in Entry request per day. Winners will be notified around Jan. 4, 2019. 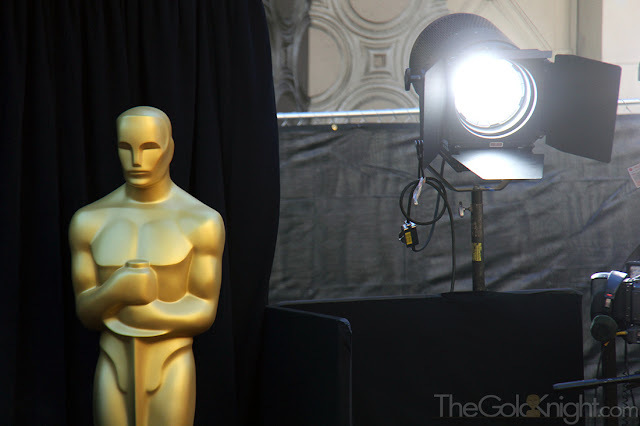 The Gold Knight has been covering bleacher fans since winnning the lottery at the 80th Academy Awards in 2008. It's a once-in-a-lifetime opportunity to watch stars stroll down the Red Carpet on the big night. With more and more people learning about the lottery, thanks in part to the Academy's growing online presence, a spot in the bleachers is becoming more and more in demand. Back in 2008, an Academy official told The Gold Knight that more than 20,000 applicants entered for the previous year. That number has undoubtedly gone up significantly. Each year brings different fans from around the world to the transformed 500-foot-long stretch of Hollywood Boulevard. The Gold Knight returned to the bleacher seats in 2018 for the 90th Academy Awards. Read all about it here. 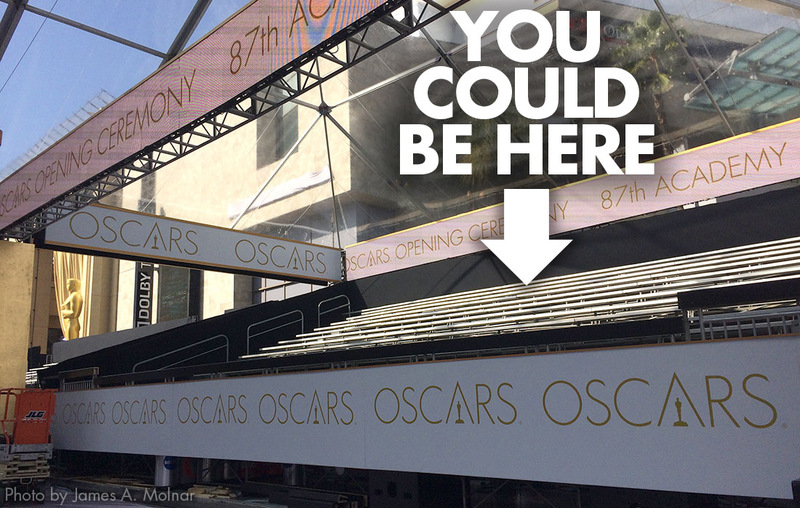 Can anyone from outside the US enter for these bleacher tickets for next years Oscars? As I'm from the UK but I really want to enter to win bleacher tickets as Oscars are my favourite awards show ever !